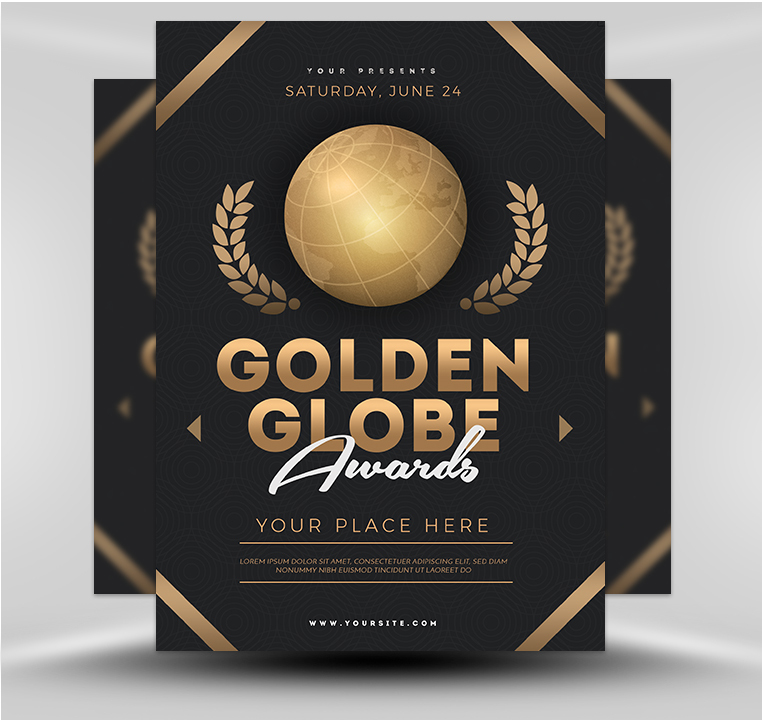 Did you know that the Golden Globe Awards is among the highest rated award shows? 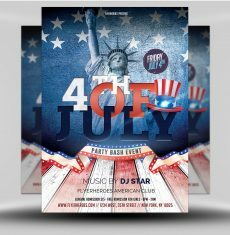 It is truly a golden opportunity for your entertainment venue to throw the party of the year. 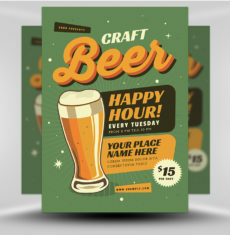 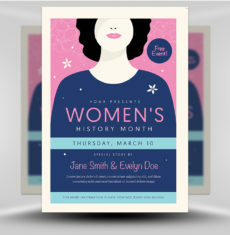 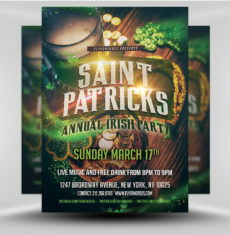 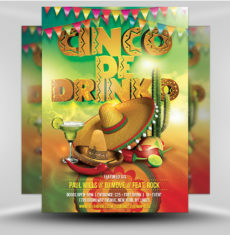 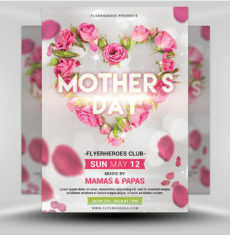 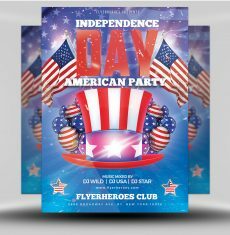 This Flyer’s Heroes Golden Globe Award template will help you create an enticing flyer to pack your bar, restaurant, club, or another setting with celebrants seeking to eat, drink, and cheer on their favorite actors and actresses. 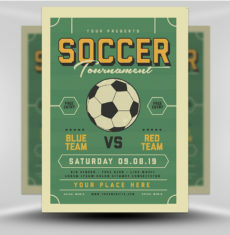 Who doesn’t enjoy watching a great film or television show? 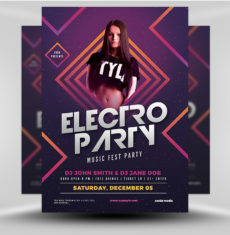 The appeal of this award show is HUGE amongst all types of people you can easily reach by posting this flyer on bulletin boards, by distributing it in high-traffic areas, and by sending it via an email newsletter. 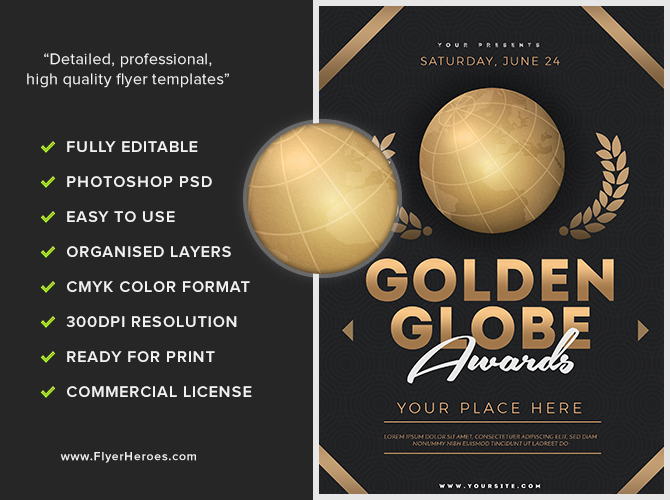 Some choice locations to distribute your customized Golden Globe Award flyer are in the front of movie theatres and nightclubs, restaurants, and newsstands. 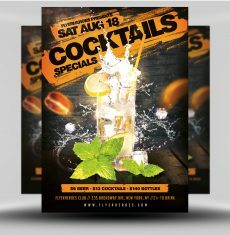 You can leave stacks of the flyers in the entranceways of libraries and supermarkets and post a larger-sized version on bus and train station display glass. 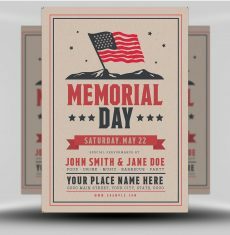 Posting a flyer is like having a 24/7 salesperson touting your event, so don’t be shy.Just think of the attention you’ll receive by placing your poster in an area with heavy car traffic passing your poster every day! 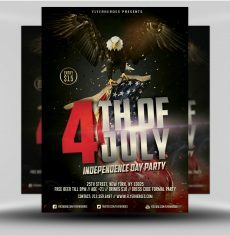 Now is the time to strike! 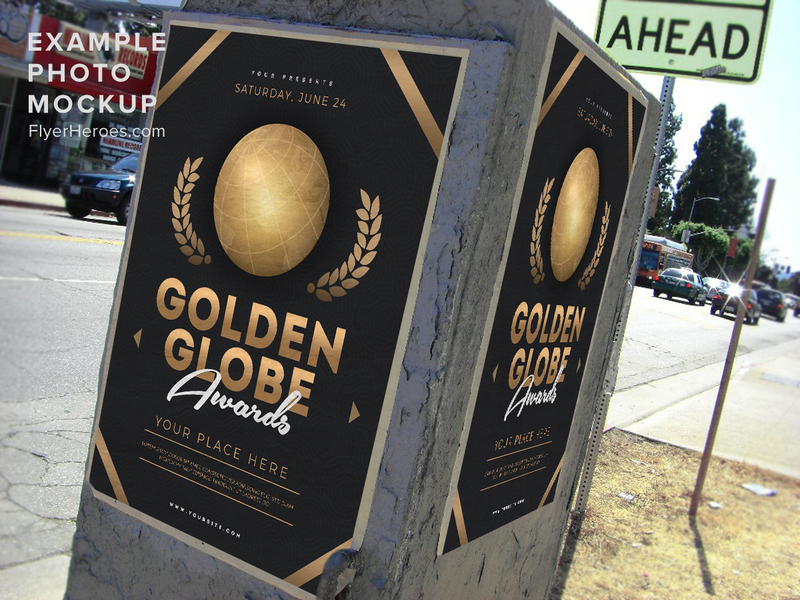 Post your print Golden Globe Award flyer two weeks before the big event and you’ll have plenty of time to find out which locations and marketing methods work best. 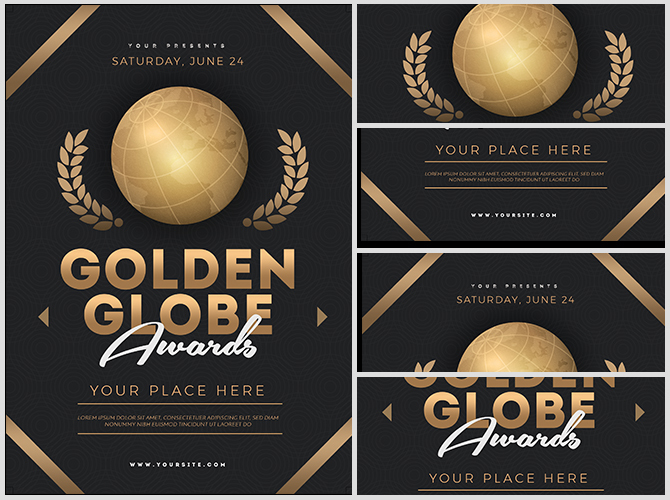 When the Golden Globe Award show rolls around next year, you’ll already know which locations are best for ensuring Golden Globe Awards event success!